Hollywood Unmasked: A very eye opening and revealing expose about the dark side of Hollywood. Due to the fact that this is an expose, it shows some very wicked stuff that has been covertly fed to the masses. There indeed is an occult based agenda driving the entertainment industries which many have been blinded from ever even suspecting. I for one WILL NOT SUPPORT the new show Two and 1/2 Men how about you…In my opinion I will support Charlie there is No replacement as far as I am concerned you have my support 1000% as of this writting I will boycott the new show. With the new season of Two and a half men about to premiere without Charlie Sheen, here is a take on the real reason why Charlie Sheen might have gotten fired. Ever since 2006, Charlie Sheen has been questioning the cover up story of 9/11. Charlie stated that “The government hasn’t been honest on telling us what really happened on september the 11th.” Charlie has called out the president on several occasions asking him to tell the truth about 9/11 and let the victim’s families know the truth. Charlie has made it very clear that 9/11 was a cover up for government to steal money & has made many mainstream media appearances telling them that it’s a conspiracy and people deserve the truth. Out of all the hollywood actors and actresses, Charlie Sheen has been the only one to step out and demand the truth about the illuminati zionist false flag attack. Always take in all the information with an open mind and think more dimensionally instead of blindly believing everything the media is saying. This video was banned and Michael had to make a new version in Brazil without showing the Illuminati‘s violence. Talk about hypocrisy! Here’s the most interesting part! In the video at no. 6 above here ^^ you can see the 2008 Firewoks opening Ceremony for the Palm Island in Dubai was done by Grucci!!! Well I came across this article called “Off the Wall”: http://davidlahuta.blogspot.com/2009/12/off-wall.html where we can read that: “Bermuda’s 400th anniversary celebration culminated with a spectacular !!! Grucci–esque fireworks show and and that the winning boat (remember Kenny Ortega said: “floating”) was a Michael Jackson-themed barge featuring a 40-foot tall King of Pop wrapped in red lights, a giant illuminated glove[…]” (so it’s the Light Man that Kenny Ortega was talking about! “floating above the stage” ). I also looked a bit into David LaHuta’s biography-the author of this blog ^^ – http://davidlahuta.com/welcome/Bio.html and if my suspicions are correct…that he might have been working with MJ on the hoax, his blog being some sort of a “sharing island-escape-clues” to the fans/beLIEvers, then I thought it interesting the way he describes himself, starting with this: “International adventurer, television host and seasoned journalist” – made me think of Michael’s speech “It’s an adventure, a big adventure“; Let’s continue with DL’s description: “Originally from New York City, David has also lived in Bayswater, London; Lund, Sweden; St. Croix, U.S. Virgin Islands and is currently based in Bermuda (since 2010) where the adventurous outdoors man enjoys sailing, spearfishing and snorkeling near his home in Southampton.” – So he also loves nature! (sounds familiar? ), he has made a lot of splendid photos with beautiful landscapes, TV shows, etc… he has an entertainment career, received awards, etc…In my opinion, judging from all this, he is a person that Michael would be interested in “collaborating” with on his secret-island escapism-project, releasing those riddle-like short articles on his “Bermuda shorts” entitled blog, to give the fans some clues about the hoax.. I also guess that Bermuda is a “symbol” for MJ-Dubai – Palm Island”, like a cover-up name 😉 What do you think about that? Michael had a “thing” with the ISLAND theme way back before his “death” in 2004 for ex. – “Miss Cast Away and The Island Girls” – http://www.youtube.com/watch?v=3Vuxcm5y7PY and also – http://www.youtube.com/watch?v=ZKRvDMGyHDI Take a look at the island on the movie poster, doesn’t it look familiar to you?? 😉 – http://en.wikipedia.org/wiki/Miss_Cast_Away_and_the_Island_Girls –Just type on Google “Michael Jackson island” and you’ll be amazed of how many interesting results you’ll find! “According to reports Lindsay Lohan has nabbed a role in an movie titled “Escaping The Game”. This is a golden opportunity for her as she will be starring along side one of the lead actors from “The Amazing Spiderman” Chris Zylka. The story is about celebrities who are so overwhelmed by fame they fake their deaths and move to a remote island. Ironically, Lindsay will be playing a detective pursuing the truth behind all of these famous disappearances. The Many MJ doubles ?? STOP THE MOVIE RETURN OF THE MOONWALKER!!! NOW!!!! This movie if you wanna call it that trash is what it is ,why won’t they ever leave Michael alone don’t they have anything better to do but hurt and innocent man and his family with this trash please sign petition this needs to be stopped.Please sign and send too all MJ‘S family.Forever we will defend you because our love for you is Never ending and (WE ARE YOUR ARMY OF LOVE) Just call our name and we’ll be there Michael………….This is hurtful too his family,to his children to us fans how can people not see you the way that we do no one is gonna hurt your family ever again WE LOVE YOU MORE ! FERMIAMO LA DIFFUSIONE DI QUESTO FILM DI QUART’ORDINE, DI PRODUZIONE TEDESCO-AMERICANA. QUESTO FILM E’ OFFENSIVO E LEDE L’IMMAGINE DI MICHAEL JACKSON, OFFENDENDO LA SUA FAMIGLIA, I SUOI FIGLI ED I SUOI FANS. FERMIAMO QUESTO SCEMPIO AFFINCHE’ VENGA TOLTO DALLA CIRCOLAZIONE! 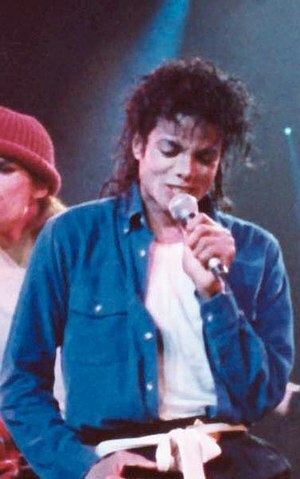 FOR LOVE AND SUPPORT MJ FOREVER !!!!!!!!!!!!!! STOP THE CIRCULATION OF THIS FOURTH-RATE MOVIE, GERMAN-AMERICAN PRODUCTION. THIS FILM IS OFFENSIVE AND VIOLATES THE IMAGE OF MICHAEL JACKSON, OFFENDS HIS FAMILY, HIS CHILDREN AND HIS FANS. SO STOP THIS DISGUSTING PRODUCTION TO REMOVE IT FROM THE CIRCULATION! FOR LOVE AND SUPPORT MJ FOREVER!!!!!!!!!!!! !